Evaluation of your product design with any mating parts to ensure your product launch is successful. Learn more about our custom plastic extrusion design capabilities and in-house custom tooling. Crescent Plastics takes pride in providing efficient and cost-effective custom tooling and plastic extrusion design solutions to ensure your exact design specifications are met. To guarantee the best results, our engineering team is closely involved with the program management of custom extrusions project from initial design considerations to final production. Upon receiving CAD files (.dwg, .dxf,.stp, .ipt,or .prt) or design sketches for your parts, we work with you every step of the way to create engineered plastic extrusions based on your application requirements. Our turnkey service includes the design and in-house manufacturing of extrusion and fabrication tools, the sampling of the tool for your approval, and repeated production runs for the entire life of the program. We provide Design for Manufacturability (DFM) assistance for custom extrusions to ensure that the most cost effective and functional design for your project is achieved. Our engineers utilize the latest in AutoCad Inventor and Solid Edge CAD modeling technologies to optimize your design fabrication and extrusion tools. Crescent’s engineering team and our highly skilled tooling technicians work together to design and manufacture precision plastic extrusion tooling for custom extrusions and to guarantee the fastest turnaround times possible. All tooling for standard and custom extrusions is designed and built in-house. Most of our secondary-process equipment, such as conveyors and traveling saws, are also built in-house. This significantly reduces lead times and eliminates outside labor costs, which lowers the total cost of your project. Our in-house tooling facilities are equipped with state-of-the-art wire EDM machines and CNC machining centers, and utilize CAD/CAM design and programming software. This ensures that your custom extrusions perfectly match your designs—no matter how complex—and meet the tight tolerances you require. Our in-house tooling is optimized for production efficiency, production quality, and longevity. This minimizes material waste and provides perfect repeatability from the first piece to the last, no matter what quantities your project requires. In addition to plastic extrusion design and custom tooling solutions, Crescent Plastics provides secondary options including custom plastic fabrication and custom finishes for plastic extrusions. These services are offered in-line or on-line, depending on your project needs. Contact us to request a quote or to learn more about custom solutions for engineered plastic extrusions. Crescent Plastics has the in-house plastic extrusion design and fabrication capabilities to create prototype tooling that produces parts that are representative of production quality, including the exact material type, color, clarity, finish, and part geometry. 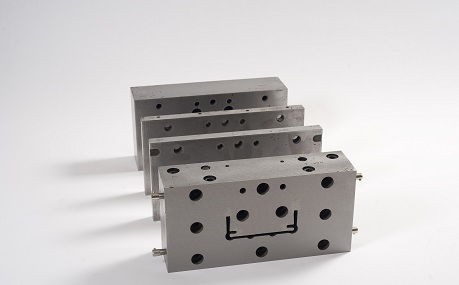 This type of custom tooling is not suitable for high volume production but provides samples in compressed lead times and is usually available at a reduced cost. Further production tooling can often utilize prototype components for time and cost savings. 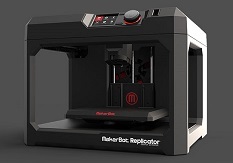 In addition, 3-D printing is available to provide prototypes for shape and fit analysis. Parts are made from an opaque PLA (Polylatic Acid) material, with a somewhat rough surface that results from the printing process. Surfaces can be sanded for a smoother finish, resulting in a final product that is both neat and professional. Our highly-skilled team can get your job done the right way, right away. 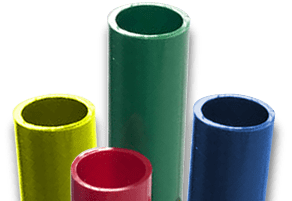 We offer a wide range of engineered plastic extrusions including extruded plastic profiles, custom foam extruded profiles and custom plastic coextrusions. Crescent Plastics also provides in-house custom tooling and plastic extrusion design to assist you with your project from start to finish. Request a quote today or contact Crescent Plastics to learn more about how we can help solve your custom extrusion challenges.